Are you worried that the calls and the SMS you send with your phone is going through a server? That is, the server of the network service provider will first of all receive the SMS or call signal before transmitting it to the recipient, and thus might be recording your conversation. If you are, then you are, then you need to install and start using Signal Private Messenger now. Meaning, neither the server of both Signal Private Messenger or your mobile carrier network can read your Calls or SMS. And do you know the most interesting part? 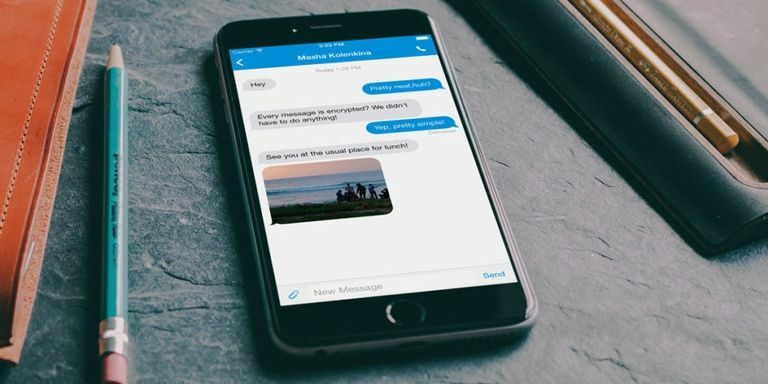 Signal Private Messenger is FREE to use, thus you will not be required to pay a cent for using their app, all you need is just an internet connection. Want more interesting part? Because Signal Private Messenger is built as an Open Source app, if you are a developer, then you can tweak it's code to suite your needs. So, join the over 10M people who have installed the Signal Private Messenger app and start making voice and vieo calls and sending SMS that are truly private.